Centre for Engineering Dynamics, School of Engineering, University of Liverpool, U.K. The Finite Element Method is very powerful and versatile. However, an FE model of a structure or machine can be accurate only if (1) sufficient geometric details are included; (2) boundary conditions and (3) loads, (4) geometric properties and (5) material properties are accurately captured. As (2-5) are not easy to determine in real application, a systematic way of doing this is needed. Model updating is a methodology for determining theses structural features through inverse (dynamic) analysis based on experimental results. It has developed into a fairly mature area of engineering and science. A structure suffers from degradation due to normal tear and wear or damage during services. Therefore its structural (geometrical and/or material) properties often deviate from its original designed conditions. A structure may also be put to a use different from its original designed function. The changes in the mechanical (geometric and material) properties mean changes of the modal properties (frequencies, modes and modal damping). How to assign a structure with desirable frequencies and modes to achieve improved dynamic performance has been an active area of research. As a passive vibration control strategy, structural modification in the form of mass and stiffness has been shown to be able to assign frequencies and modes. This short talk will cover FE model updating and structural modifications (with emphasis on the latter). It is meant for a general engineering audience with little vibration background. A number of simulated examples, laboratory structures and real structures are presented. Huajiang Ouyang obtained BEng and MSc in Engineering Mechanics in 1982 and 1985, and PhD in Structural Engineering in 1989, at Dalian University of Technology, China. He is a full Professor at the School of Engineering at Liverpool and the School Director of Postgraduate Research. 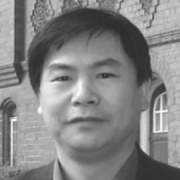 Dr Ouyang is a Fellow of Institute of Physics, and was the Chairman of the Applied Mechanics Group of Institute of Physics from 2011 to 2013. He was a Royal Academy of Engineering and Leverhulme Trust Senior Research Fellow in 2009-2010. He is a Subject Editor of Journal of Sound and Vibration and on the editorial boards of several other journals. He has published over 200 conference and journal papers.